← Need A Property Manager Near Emory? Decatur is located less than 8 miles from Downtown Atlanta and approximately 2.5 miles from Emory University, Emory Hospital, Eggleston Children’s Hospital and the Center for Disease Control. Decatur is a small City with major civic participation, local Police and Fire Departments and a renown School System. Neighborhoods around Decatur contain renovated older bungalow-style homes, well-kept lawns, parks and sidewalks. It has a vibrant, friendly atmosphere and many residents live close enough to walk to shops, restaurants, and frequent downtown events. Annual events for Decatur are organized by the Decatur Business Association and other civic and educational organizations. It’s a rare week when some activity is not available for residents and visitors in the downtown area near the Square. 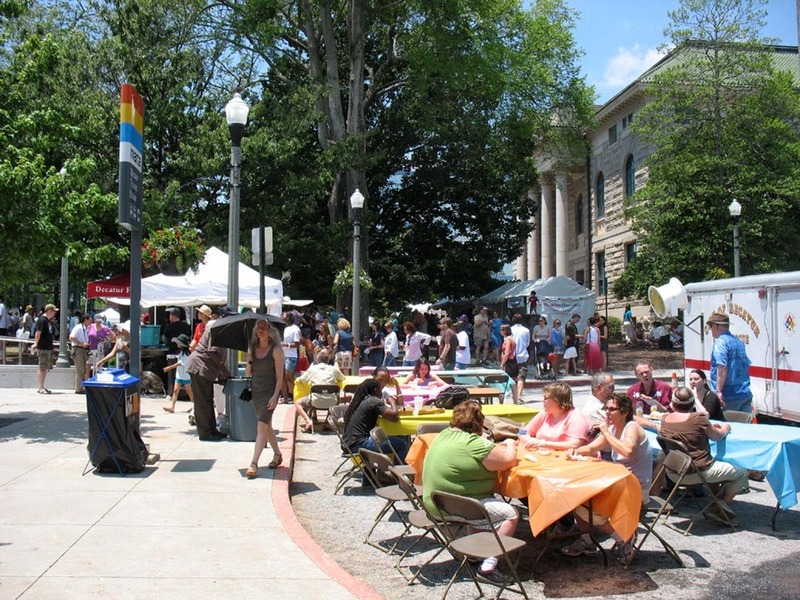 During the month of May, Decatur sponsors Blue Sky Concerts at noon on the Square and Concerts on the Square on Saturday evenings at 7 p.m.
Perhaps the most attended event is the upcoming Decatur Arts Festival, held on Memorial Day Weekend, and celebrated throughout the month of May. 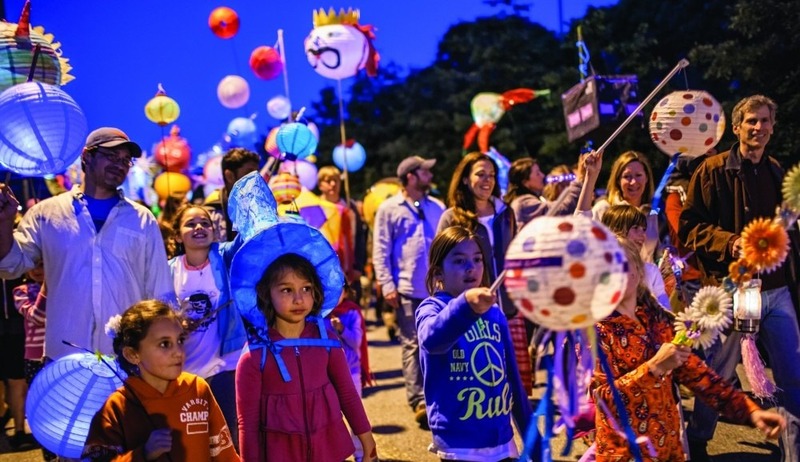 A recent Lantern Parade, associated with the Arts Festival and held in the evening, featured an exuberant gathering of adults and children with homemade lanterns, hats and parasols strolling through the darkened streets. On Memorial Day Weekend, the main Decatur streets are blocked to traffic, and a bustling crowd gathers to enjoy a diverse Arts Festival featuring over 150 artists, dance performances and music. Another popular annual event is the Decatur Beach Party, held June 17, sponsored by the Decatur Business Association – a ticketed event with lots of sand, games and music. This entry was posted in Atlanta Homes, Atlanta Property Management, Decatur Arts Festival, Decatur Homes, Decatur Neighborhoods, Decatur Property Management, Decatur real estate, Decatur Townhomes and Condos, Druid Hills, Emory University and tagged Decatur, Decatur Homes, Decatur Property Management, Decatur real estate, Decatur townhomes, Druid Hills real estate, Emory homes, Emory real estate, homes in Decatur, house in Decatur. Bookmark the permalink.